Some more info about pregnancy yoga classes. Pregnancy Yoga classes, taught by a Yoga Teacher with additional and specialised training in this field, provide opportunities for expectant women to develop greater vitality and awareness of their bodies. These classes also deepen their relationship with their unborn baby. Gentle postures, breathing, visualization and relaxation are learned which cultivate flexibility, calmness and confidence in preparation for labour and childbirth. Women are empowered to develop their ability to access greater relaxation, comfort and enjoyment. Calm, strength and flexibility ease the birthing process, thus reducing pain and increasing the joy of giving birth. With the guidance of the Pregnancy Yoga Teacher, women prepare for an active, normal and natural birth. Birth and Nurturing the Baby are Natural. It may seem strange that a mother needs to prepare for birth and motherhood; after all they are completely natural, instinctive and biological functions. Women’s bodies are ideally designed and adapted to carry, give birth to and nourish their young, just like any other mammal. However, unlike other mammals, humans appear to be the only species that has such difficulty fulfilling this instinctive potential. This has not always been the case though. Many cultures, throughout the ages, have honoured and respected the power of women to give birth and nurture their young as central to life. It is only in our ‘modernized’ world that the power of women as birth-givers has been steadily degraded and replaced by the science of obstetrics. Why Practice Yoga in Pregnancy? Attending yoga classes that are specifically adapted for the pregnant woman means that a conscious choice has been made to devote some time to honouring and nurturing yourself and your unborn baby during this special time. As yoga brings your mind and awareness into your body it awakens the awareness of your baby inside and deepens your connection with your child. You will feel more in touch with your inner self, more connected to nature and you begin to discover that the power to give birth and nurture your baby lies within yourself. This is also very helpful after the birth. During pregnancy, energy levels fluctuate and may leave you feeling exhausted for no reason. Your body is using enormous amounts of energy to ‘create’ a brand new human being and misusing your body can result in excess tiredness. Physically, yoga teaches how to keep the posture correct as the centre of gravity changes throughout the nine months; it strengthens the back, tummy, shoulder, arm and leg muscles to be able to carry the baby comfortably and easily; it keeps you fit and thus an adequate supply of oxygen and nutrients flowing around the body and to the baby; it improves circulation of other fluids in the body helping to prevent swollen ankles and other oedemas. These seem to be ‘side benefits’ when you consider how yoga prepares the body physically for the birth. It helps to open up the hips and pelvis, creates more flexibility, and strengthens muscles that are needed for the ‘pushing’ stage of labour. After all, what does ‘labour’ mean – hard physical work! Therefore it makes sense to prepare the body with stretching, breathing and physical exercise. On other levels, yoga helps to bring your whole being into balance. It influences the mind and body positively, benefiting you emotionally. Yoga, especially with a focus on breathing, quietens the mind, allowing you to feel more peaceful within yourself. It is calming and reduces anxiety – you feel more present in your body and thus mentally and emotionally balanced. Pregnancy is a natural state of ecstasy and celebration. There are many peaceful and blissful times to be enjoyed during these months. Yoga can help you make the most of the contentment, well-being and fulfilment which women can experience when they are pregnant. Its benefits will continue in the many pleasurable hours you will spend with your baby after the birth. In most traditional societies, women are encouraged in pregnancy to build up their strength and improve their fitness in readiness for the birth. On the whole they give birth easily and we can do the same. The processes of birth are involuntary, they happen without your conscious control. The sensations experienced during the hours of labour as your body opens to give birth are very powerful. They take you to your limits of endurance. There are times of extremes both pain and pleasure, ecstatic highs and deep dark lows involved in the extraordinary inner journey which brings your baby to birth. Yoga is a wonderful preparation for this. It teaches you to make space between thoughts to focus on what you are feeling in your body and to surrender and let go, which is exactly what you need to do during labour. Breathing lies at the very heart of yoga practice – without mindfulness of breath the postures are lifeless and static. In Pregnancy Yoga classes breathing correctly and deeply, as well as using the breath as a focus, is learned. Breathing properly throughout pregnancy and labour are important for your baby, who is depending on you for his/her oxygen supply. To be able to concentrate on the breath – the source of all life – can help you get through the most difficult times in your labour. Many of the yoga postures learned in the class are similar to the positions women instinctively assume in labour. These positions are then spontaneously applied during the labour allowing comfort and ease for the different stages. All in all the practice of yoga brings awareness of breath, body, mind and feelings, which enables the mother-to-be to stay in harmony with her child throughout her pregnancy. It gives her the confidence to follow her instincts while giving birth and as a mother. 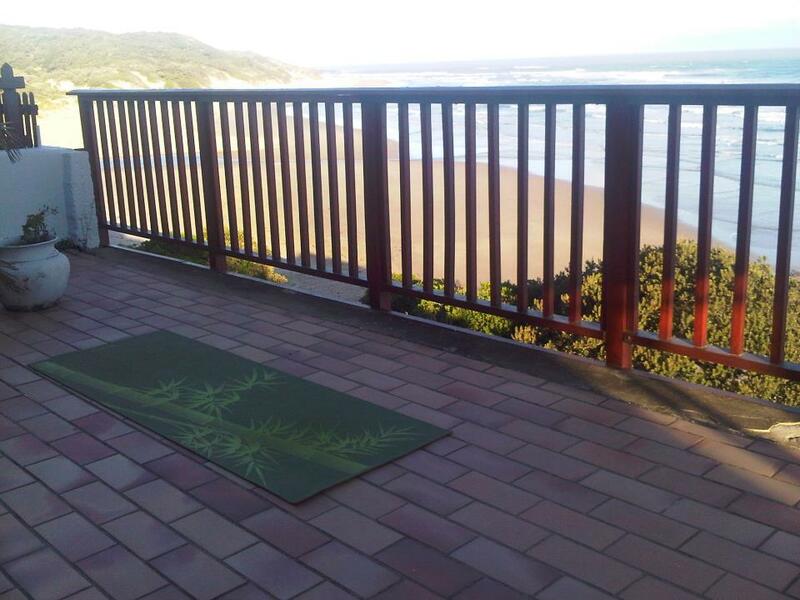 For more information: contact me at nicci@yogawithnicci.co.za or call or sms me on +27 78 563 8152. I look forward to hearing from you! Anne Combrinck (BSc; NHD(Chem); YTC; YTherapyDip), a Yoga Teacher and mother, used yoga to prepare for her son’s birth and has been teaching yoga to pregnant (and post-natal) women for many years. She also trains Yoga Teachers and facilitates a workshop to further train Yoga Teachers to specialise in Pregnancy Yoga Teaching. There is a Pregnancy Yoga Teacher training workshop coming up in November 2011.